Female entrepreneurs have become a powerful force in today's market. Many of the leading companies in the United States are now led by women entrepreneurs, many of whom have paved the way for future generations of female business owners. For women trying to find their place in today's market, there are many powerful pieces of advice out there that have come from some of these seasoned females entrepreneurs. While there is no end to the little tips and tricks that any entrepreneur can take advantage of when launching their business, these powerful tips for female business owners come straight from the lips of today's most successful women. The famous investor from the hit show Shark Tank once said "My best successes came on the heels of failures." This is a powerful lesson for any aspiring business owner, as most of today's most established entrepreneurs have been faced with countless failures. The importance of dealing with failure is that you need to be able to learn from the failure, dust yourself off and move on, even if you deal with consistent failure. You never know when your next venture will be the one that finds you your biggest success yet. Debbie Fields, the creator of Mrs. Fields, said "what I wanted was to be allowed to do the thing in the world I did best." This motivated the entrepreneur to follow her passion for cooking, even when others didn't believe it could turn into the success it is today. So many female entrepreneurs are afraid to take that next step in turning a passion or hobby into a business, but for people like Debbie Fields that commitment to passion is what can turn an idea into a business success. Estee Lauder, founder of the famed makeup brand said "I have never worked a day in my life without selling. If I believe in something, I sell it, and I sell it hard." Believing in the product and service that you are selling is the first and most important component of being a successful entrepreneur. Without a firm belief in what you are doing, you will never be able to find the success that you deserve, no matter how hard you work. You must believe in the company you have and work relentlessly to sell that idea to the world, making them believe in it as much as you do. 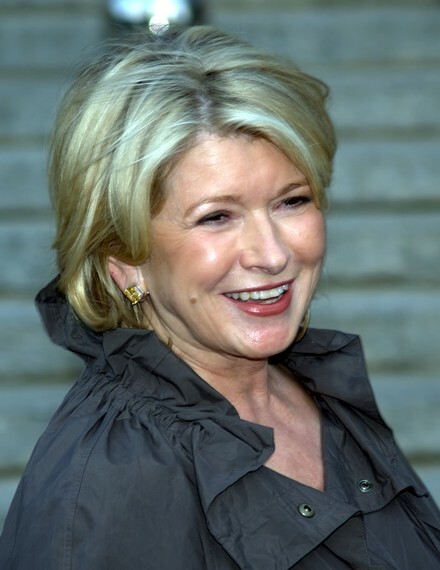 Entrepreneur and iconic mogul Martha Stewart claimed that "it is within everyone's grasp to be a CEO." Years of gender bias have left some women not dreaming big enough with their professional aspirations. Stewart's quote drives the point home in saying that everyone has the ability to earn this type of title, if they are willing to do the work. Dreaming big and visualizing yourself in a big role is one of the best ways to get started on a journey towards being a successful entrepreneur. Lillian Vernon, founder of Lillian Vernon Corporation, once said: "I don't look at risk the way other people do. When you're an entrepreneur, you have to go in feeling like you're going to be successful." When Vernon started her company she was married and pregnant, and heard from so many people that starting her corporation was a risk, but it was one she was willing to take. Sometimes, a little risk has to be involved if you want to see the big payoff in the end. Keep these tips and pieces of advice in mind when launching a new career as a female entrepreneur. While females may face additional challenges along their journey, these women have proven that with the right idea, a little confidence and a strong work ethic, any aspiring female entrepreneur can find the success that she deserves.